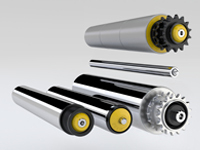 Rollers and components for gravity and driven conveyors, in straight sections and in curves. 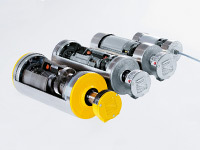 Rulmeca drum motors for the drive of belt conveyors: a safe and space-saving system. 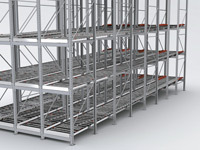 Solutions for the warehousing of units without the use of power.